While it’s possible to apply new grout over existing grout, the results are usually less than satisfactory. Since the layer of new grout would be very thin and vary in thickness, it may not adhere well and the old grout could show through. Removing grout from a tile floor is not nearly as difficult as it used to be. Inexpensive oscillating and rotary tools are available with grout removal attachments that can make quick and effortless work of removing old grout. Once you’ve removed the old grout, vacuum up any remaining loose grout and dust before applying new grout to the tile. Use a sponge and clean water to remove any excess grout or grout haze on the tile. 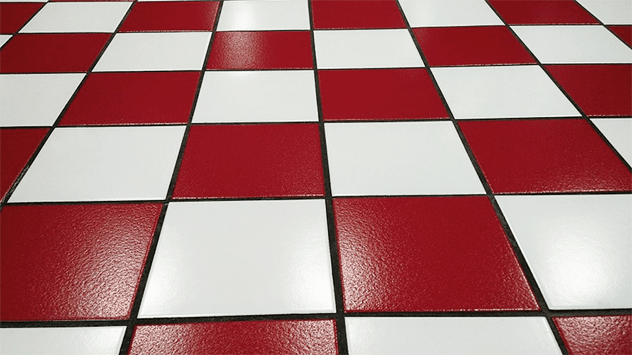 One option is to remove the grout between existing tiles, grout just those spaces, and stain the grout to match the surrounding grout (or to stain all the grout on the floor for a match). However, taking up the floor may be necessary if there’s a problem with the subfloor. A tile professional can inspect the area and offer tailored advice. It’s not possible to answer all the questions we receive, due to the high volume (we receive 2 million visitors a month), but we sure do our best! We encourage open conversation and members of the TH community are welcome to share their advice, on what worked for them, with other members. Your “solution” for grouting over existing grout in a tile floor is to rent some tools. How is that helpful? Tell us which tools to rent/acquire and show us how it’s done. And if you’re not going to help people with their questions in the comments, why allow comments at all? I laid down the small ceramic tile about 10 years ago in small bathroom..probably didn’t put enough I tried bleaching, etc on most of it but dark places will not go away. My question I regroutoup over the old grout? Over the years, the sealant where the tile flooring and shower come together has cracked, discolored and pulled away from shower base. How do I remove sealant and replace? Staining the grout is another option. We grouted over 18 yr old grout with Mapei gray Saltillo grout. Some areas came out darker than others? Is there a fix besides the options below? on repair of sanded grout – can I just add a thin layer over existing grout – the depth of the repair would be about 1/32 & over all grout lines on one wall of shower ? We had new tile floor laid by a professional(?) throughout kitchen, living room and hallway of very open floor plan. Installer forgot to add dye to the grout in large section of living room (about half). Now we have mismatched grout (mocha vs plain grout). What is the best fix. Try to stain plain grout to match grout or have them remove plain grout and regrout with matching mocha grout? I wiped off too much grout when I laid a pebble shower floor. Can I lay over more grout? It hasn’t been sealed but is definitely dry. I need to replace the grouting at the Base of my shower. Do I need to remove the silicone that surrounds the shower tray or is it possible to grout up to the silicone seal. Will this be sufficient to prevent water seepage? I am planning on doing it your self and adding a bathroom to my attic. I need to know if there is a space requirement or adjustment for the floor jousts between the second floor and attic for the plumbing to fit….never added new just worked on existing. How much grout between tiles needs to be removed before re-grouting? All of it; 1/2 of it? Don’t want to have to redo again. We just bought our home, there had been some toilet leak on main floor that damage a bit the subfloor under it, and made the ceiling in unfinished basement smelly. Every time we go to our basement in laundry room where this damage occurred the smell is strong. We know we need to replace that piece of subfloor. But for now can we do anything to neutralize that smell? Can we clean the plywood? What would you recommend? I am working 6 days a week and have 2 small children that for now I don’t have time to fix the problem.